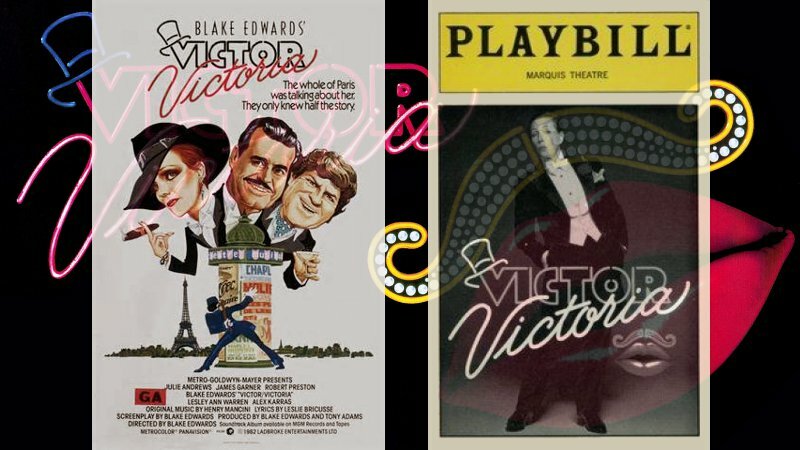 A loose remake of the groundbreaking 1933 German film Viktor and Viktoria, Blake Edwards' Victor Victoria (1982) was later adapted as a popular Broadway musical of the same name that ran from 1995-99. Both stage and screen versions star Edwards' then-wife Julie Andrews in an iconic, gender-bending dual role as "a woman pretending to be a man pretending to be a woman" that mirrors the production itself as just crazy enough to work. This is an energetic, extremely loose, occasionally messy, frequently entertaining musical/comedy whose message may prove to be slightly more enduring than the end result, and one that's filled with no shortage of terrific performances, great songs, and the kind of commitment and honesty rarely seen in award-nominated A-list productions. Our story follows down-and-out soprano Victoria Grant (Andrews), fresh off an unsuccessful audition at Parisian club Chez Lui, where she's first spotted by singer Carroll "Toddy" Todd (Robert Preston). Barely earning enough money to feed herself, Victoria attempts to score free food by smuggling a cockroach into her salad at a posh restaurant; Toddy joins her before the meal is over, and they leave together in the ensuing chaos. The new friends end up bonding through their mutual problems: Toddy's just been swindled by a thieving boyfriend and lost his Chez Lui job in the process, and her formidable singing voice hasn't yet translated to success. Soon enough, the unlikely duo hatches a business plan: she'll perform as fictional female impersonator Count Victor Grazinski, and his connections will get her noticed by the right people. 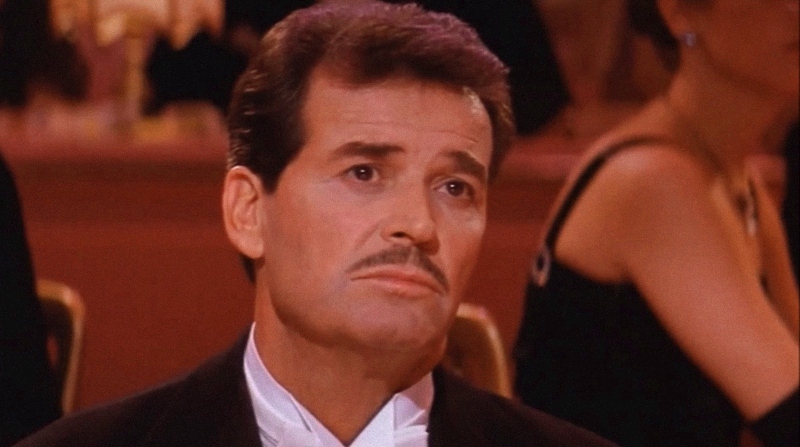 It's an almost immediate success, but a wrinkle appears when gangster King Marchand (James Garner) develops an attraction to Victoria before the big reveal of her false identity. Not surprisingly, the gender-bending gimmick at the heart of Victor Victoria (fueled by King's unflappaple interest and pursuit of the mysterious performer) is what carries the bulk of this musical comedy's weight. To its credit, there's enough meat on the story's bones---and, of course, enough chuckles and belly laughs---to warrant its slightly padded running time of 132 minutes. But there are a few speed bumps: the third-act introduction of a private investigator (Sherloque Tanney, appropriately named) adds nothing more than a few cheap gags and distracting slapstick...and I'm probably alone on this, but King's Betty Boop-like main squeeze Norma (Lesley Ann Warren, the other Rodgers & Hammerstein Cinderella here) is the film's most irritating character by a landslide. 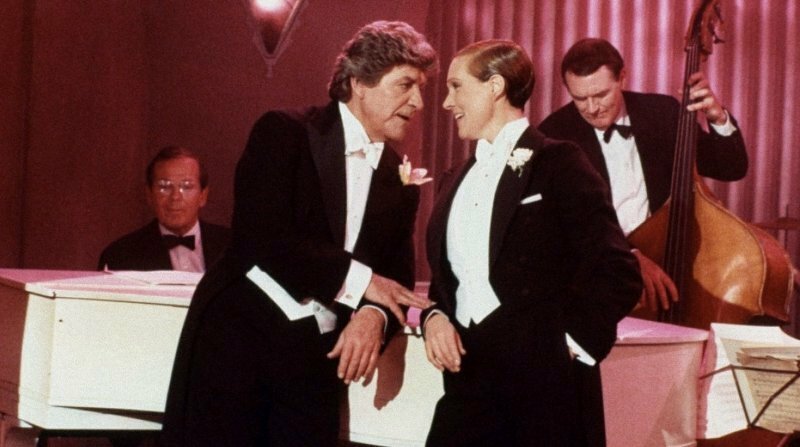 Still, the near-flawless performances of Andrews and Preston (plus a few great supporting turns like Alex Karras as King's bodyguard "Squash" Bernstein and John Rhys-Davies as talent agent Andre Cassell), plenty of memorable songs by Henry Mancini & Leslie Bricusse, and terrific production design all help elevate Victor Victoria to greater heights. It doesn't quite reach top tier status, but there's more than enough here to attract fans of the genre, cast, and crew, and I'm certainly glad that Warner Bros. has seen fit to upgrade Victor Victoria as a Blu-ray in their Archive Collection. Featuring a terrific A/V presentation and a few thoughtful extras from their 2002 DVD, it's a solid choice for established fans...but perhaps not the greatest blind buy, unless it's been on your radar for more than a few years. Victor Victoria looked very good on DVD (for its time, of course), but it's obvious that Warner Bros.' new Blu-ray offers an improvement at every turn: this terrific 1080p, 2.35:1 transfer reveals a lot of fine detail and accurate color reproduction...for better or worse, depending on your tolerance for 1980s interior decorating. Skin tones and contrast levels look excellent and black levels are greatly improved, while the film grain and textures are much more noticeable as well. If there's one underlying adjective I can give this transfer, it's "consistent" in the best possible way. Simply put, die-hard fans should be enormously pleased for the opportunity to have a top-notch presentation of Victor Victoria on Blu-ray, as it's easily one of the best-looking catalog titles I've seen in recent memory. DISCLAIMER: This review's compressed screen captures are strictly decorative and do not represent Blu-ray's native 1080p resolution. Not to be outdone, of course, is the film's audio: Victor Victoria is very much dialogue-driven but features no shortage of show-stopping performances, so it's good to know that this DTS-HD 5.1 Master Audio track holds up its end of the bargain. Vocals and other foreground effects are crystal clear on almost all occasions (a few obvious post-production slapstick effects are a little thin by design), while music cues and background ambiance fill out most of the corners with excellent detail and strong presence. It's generally mixed well but small portions of the dialogue are a little quiet, which means you might be reaching for your remote on several occasions. Either way, this is a fine presentation of difficult source material, and the addition of a Song Selection on the disc's main menu is a welcome touch. Optional English SDH subtitles are also included, but they're garishly printed in ALL CAPS for some odd reason. The static interface offers a vintage poster-themed background and separate options for setup and bonus features. This burn-on-demand disc arrives in a standard Blu-ray keepcase and includes cover artwork identical to the menu. Everything from Warner's 2002 DVD, including an Audio Commentary with the husband-and-wife team of Julie Andrews and Blake Edwards, the film's Theatrical Trailer, and even an Easter Egg from the older disc that's now hiding in plain sight. A few new extras wouldn't have hurt, but just having the old ones should please die-hard fans of the film. Victor Victoria doesn't quite reach the top tier of classic musicals (it's a little padded at times and some of the slapstick sticks out like a sore thumb), but it's got more than enough charm, memorable performances, great songs, and iconic moments to hold up just fine more than 30 years after its original release. Andrews is the obvious standout in an extremely challenging role; she's not always as believable or masculine as "Victor" demands, yet I couldn't imagine anyone else filling her shoes quite the same way. Either way, there's a lot to like here and, if you've never seen Victor Victoria on home video, Warner Bros.' new Archive Collection Blu-ray is a great introduction: it's got a fantastic A/V presentation and all the limited but enjoyable extras from their 2002 DVD. Firmly Recommended.